OMG Leatherworks started in 2010 (and I didn’t even realize it at the time). We had a time share nearby and our ‘week’ was in early January – usually not a problem in Texas, but it was a cold year. The forecast called for snow and generally pretty lousy weather. So as a surprise, my wife went to the craft store and bought some kits for us to play with. I think my daughter got something like modeling clay and stained glass stuff. Well she got me a basic leather crafting kit. It had a few projects in it – you know, the pieces already cut to shape and the holes punched for lacing. 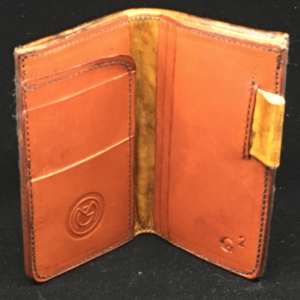 The main gist of the kit was to stamp designs in the leather pieces, apply some all-in-one fudge brown color stain, and then use lacing to assemble them. Basic stuff but I was hooked. I bought other kits at the hobby shop and put them together but I felt I was missing something. I found a few instructional videos on Youtube about leather crafting and people were designing items of their own – Wow! The lightbulb came on and I thought, ‘I can make anything I want’! It didn’t take long after that to start experimenting and buying a lot more stuff to make leather goods from scratch. 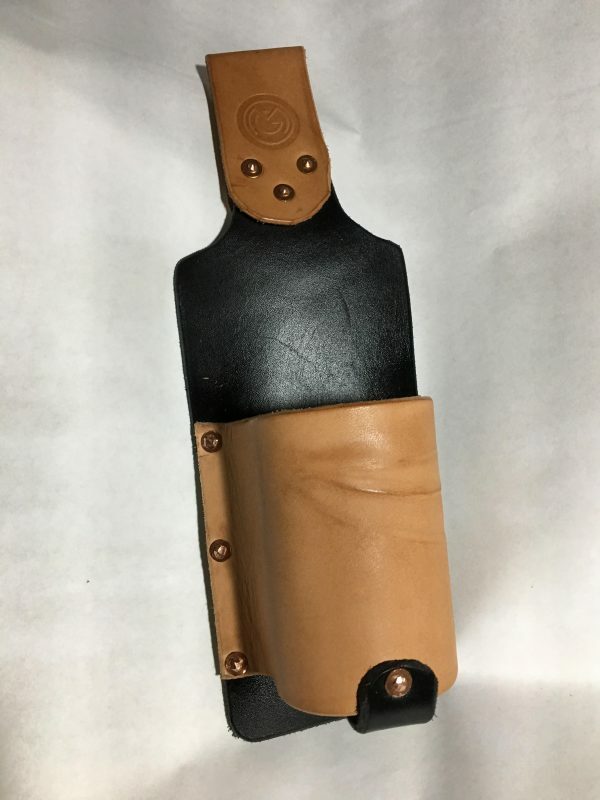 I’d been making pieces for friends and relatives for a couple years on and off until I found a local holster maker selling his business in January 2017. We decided as a family that it was a good investment, mainly because I was a successful woodworker with a well appointed workshop until we moved in mid 2016 and I had to sell the bulk of the equipment. 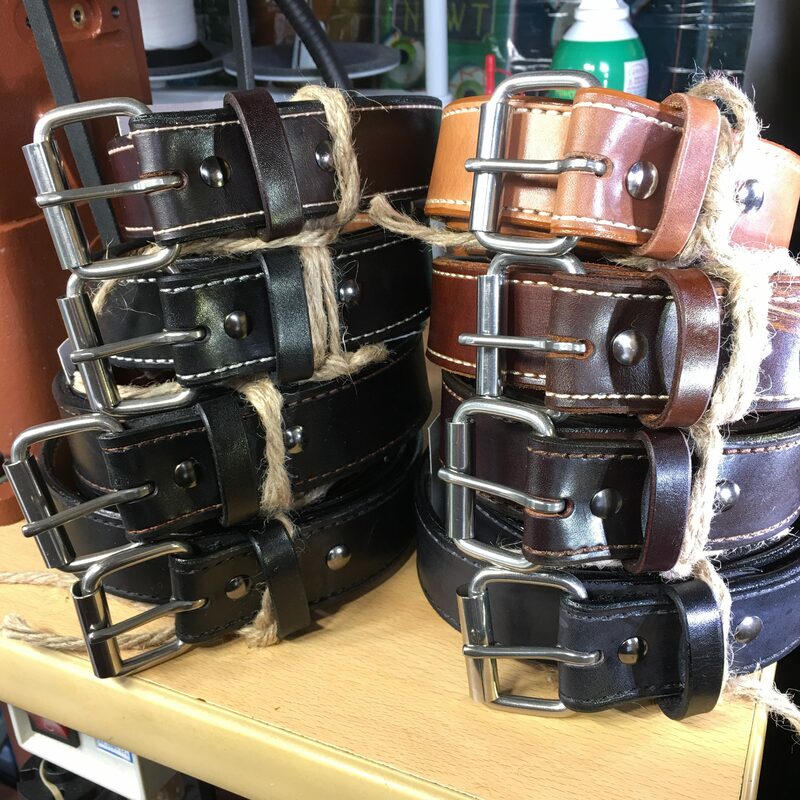 Since leatherwork can be done in a relatively small and simple space, I bought out the business with what I made from selling the wood shop and OMG Leatherworks was born.